We believe stress can be managed, and our natural state is one of pure well-being. Each of us has the ability to return to that natural state. We believe in thinking differently allowing inspiration to guide us. All of our treatments are performed with this in mind. Suffer from low back or neck pain? If you have a chronic issue; low back pain, neck pain, headaches or if you sit at a desk on a computer day in and day out craniosacral therapy is a great option for you. If you are not sure which service is right for you, we can help! We recommend you allow us to do a brief interview to insure that you are getting the best treatment for your individual needs. If it’s just to relax, reduce stress or to address a chronic issue we can design a series of treatments just for you. We offer a wide range of massage and bodywork treatments. We specialize in offering a unique holistic approach to our clients. Check out our enhancement offers, consider a magnesium foot soak or a ionic detox foot soak or add a dry brushing or a reflex add on to your massage. 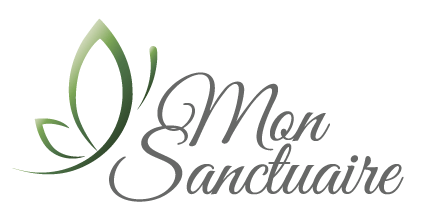 If you would like to optimize your relaxation time at Mon Sanctuaire, please download and fill out our Client Intake Form prior to your visit. Our relaxing Blended massage is combined with reflexology and warm oil infused with the therapeutic properties of 100% essential oils. Experience the benefits of this soothing therapeutic treatment, warm towels are used to further relax your mind and soothe your senses. You will feel good from the inside out. This treatment is the ultimate holistic massage because it combines a relaxing Blended massage, Aromatherapy and Reflexology. 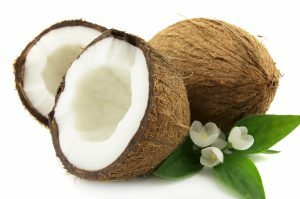 We use our signature body balm mixed with organic coconut oil for deep hydration and essential oil of jasmine. This powerful oil offers uplifting, cheerful qualities. Jasmine oil is used as a emotional aid in relieving stress, it is also extremely hydrating. Reflexology, a 5000 year old remedy restores balance, eliminates toxins, stimulates nerve function and produces a deep level of relaxation just to name a few benefits. We apply warm towels on the back and feet..Heaven! This treatment is for everyone and it is very effective at treating a number of chronic problems. It is offered by Melinda Naff with over 25 years experience, rest assured that you will be in good hands. Wonder if it’s right for you? Questions about this treatment? Contact Melinda. 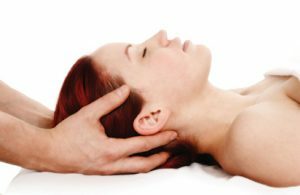 The light, hands-on approach simply assists the hydraulic forces inherent in the craniosacral system to improve your body’s internal environment and strengthen its ability to heal itself. The therapy is used to dissipate the negative effects of stress, and to enhance your general health and resistance to disease. It has an lengthening effect on the spine and compliments any therapy or chiropractic adjustments. This is a great treatment for Fibromyalgia sufferers. Also perfect for the active person, great therapy to support your exercise program. Myofascial Release Therapy goes deep into the tissue that surrounds all muscles to release the restrictions. I may use it over the entire body or just in specific areas. The structure of fascial tissue makes it possible to make therapeutic changes to the body long after a trauma is suffered. This therapy lengthens and stretches shorten tissues that when UN-adressed may result in pain, a misaligned spine, pelvis or any other area where the tissue is shortened. Hot Stones will really enhance this treatment! These treatments are very powerful and provide you with a tailored session. Each therapist incorporates her own signature modalities. Since we use a combination of therapies during a treatment, each session is unique and provides a holistic approach to your specific needs.. This massage really delivers relaxation using light to medium pressures and flowing strokes to calm and soothe. Perfect stress reliever! Add hot stones to back $15.00 Bliss!! We combine hot stones with therapeutic massage, you will emerge transformed! This treatment is 75 minutes hands on and the therapist that offer this service have 20 plus years of experience. The powerful energy of basalt stones that are hand gathered from the Baja of Mexico and Montana riverbeds combined with a warm oil massage make this treatment a unique experience. The stones or “helpers” (as they are sometimes called) are an extension of our hands and when combined, the result is penetrating warmth and deep relaxation and powerful healing. Click here to watch a video about the benefits of magnesium. Deep tissue massage is a type of massage aimed at the deeper tissue structures of the muscle and fascia, also called connective tissue. Deep tissue massage uses many of the same movements and techniques as a Swedish massage but the pressure will generally be more intense. It is also a more focused type of massage, as the therapist works to release chronic muscle tension or knots (also known as “adhesions”). It is especially helpful for chronically tense and contracted areas such as stiff necks, low back tightness, and sore shoulders. It’s important to drink a lot of water after a deep tissue massage to help flush lactic acid out of the tissues. If you don’t, you might be sore the next day. It’s possible that you might feel some soreness the day after a deep tissue massage even if you DO drink water. This just means a lot of waste products were flushed out of the tissues. It should pass within a day or so. Add Magnesium to this treatment reduces pain, stiffness and allows muscles to relax. This treatment is available at a reduced price when you purchase our signature membership or a series. Paraffin Hand or Foot Treatment $15 Back Paraffin $25.